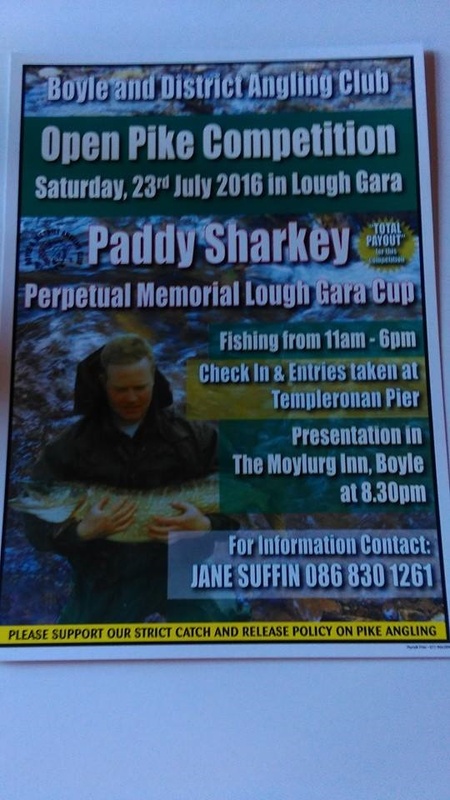 On Behalf of My Parents, Mickie & June Sharkey and Myself, We would like to Sincerely Thank Boyle & District Angling Club for Holding The Paddy Sharkey Memorial Perpetual Lough Gara Cup. Thanks to all those who turned out to fish in Paddy's Memory, it really means a lot to us. 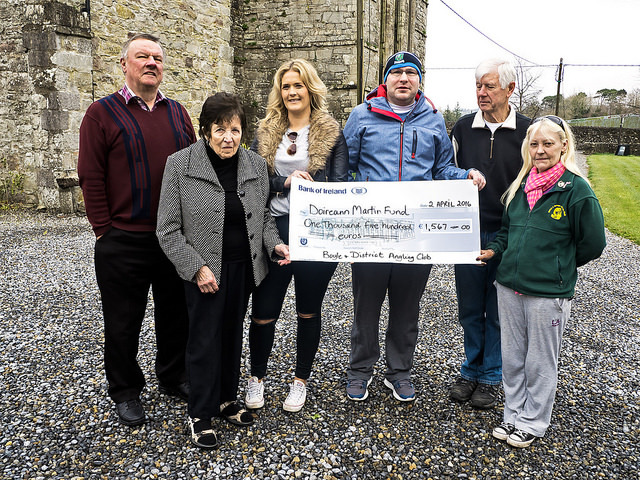 Thanks to those who were unable to go fishing but called down to the shore or attended the Presentation your continued support to keep Paddy's Memory going is priceless to us and we can never Thank You Enough. Thanks to the staff of the Moylurg Inn for there hospitality, To Troy for the fantastic food. The entertainment on the night Martin Boston, you went above and beyond to make the night a Fitting Tribute to Paddy. You were outstanding, Thank You So Much. Congratulations to everyone who won prizes. Danny Funke who won the Cup, Well Done Danny. We can't Thank People Enough.